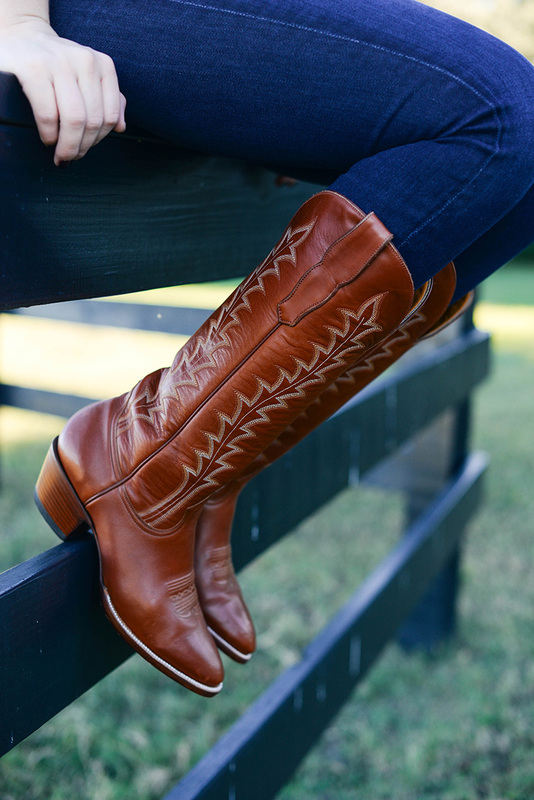 If you happened to see my Tried and True video from two weeks ago, you’ll know I recently added these stylish cowboy boots to my shoe collection! Back on Cinco de Mayo, my friend Katie introduced me to her friend Lizzy while we were out having dinner and drinks. 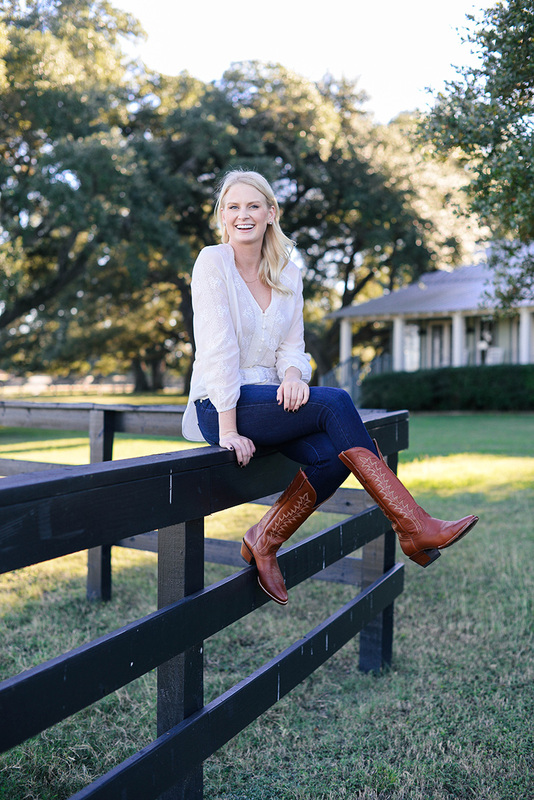 I quickly learned that Lizzy, like me, is an entrepreneur in the fashion industry and recently launched her own line of cowboy boots! She was so kind to gift me a pair of boots, so I opted for this pair. Since I don’t have any other pairs in my closet (the pair I did have was stolen in college), I wanted a pair that would look good with everything. This gorgeous cognac brown is so versatile and instantly dresses up my casual outfits at the farm. They are SO comfortable! I definitely forgot how much I loved cowboy boots until I slipped these on. In fact, I’m loving them so much, I may just have to buy the black pair I was also raving about on YouTube. They are beautiful! The pictures on the website do not do the boots justice. While the boots are an investment, you’ll have these forever. 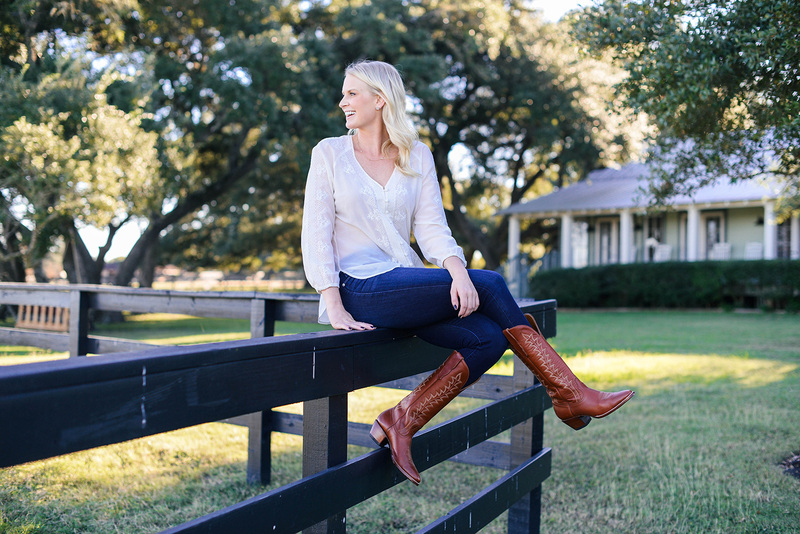 Cowboy boots get even better looking with age and wear, so as long as nobody steals them (like someone did mine), you’re good to go and will never need to buy another pair. As far as sizing goes, they run a little big. I normally wear a 9 1/2, but the 9 was a perfect fit. If you order a pair to try, know that your ankle is supposed to slip a little as you walk – these boots will not stretch. I wore them all weekend long and my feet have never been happier. So comfy! Click here to discover all of the styles City Boots has to offer! 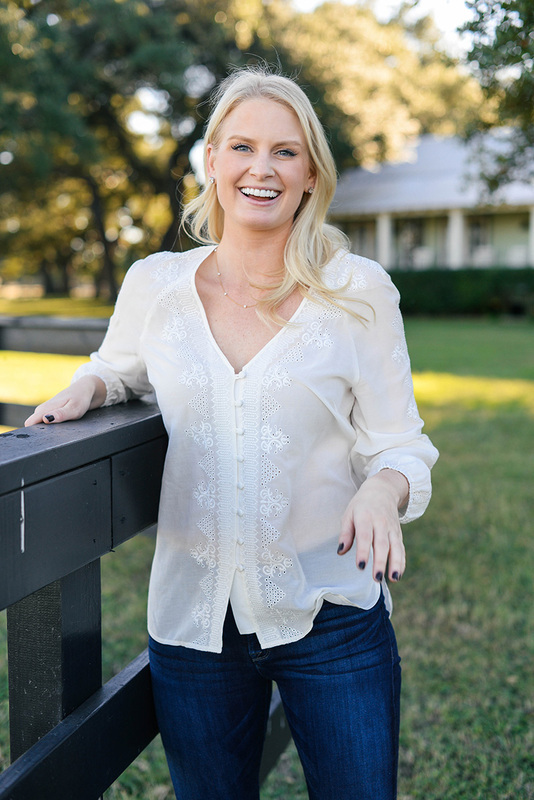 Love this pretty blouse with the cowboy boots, great look! The perfect cowboy boots!! Love the backdrop for this shoot, too!